A reference company in the Steel Solutions and Storage sector. Ramada Investimentos e Indústria, S.A. is a public limited company incorporated on the 2nd of June 2008, with its head office in Porto. Ramada Investimentos was formed within the scope of the corporate re-organisation project of the Altri Group, which was characterised by the separation of the two autonomous organisational structures of which it was composed - the management of investments in the pulp and paper sector and the management of investments in the steel and storage systems sector - thereby creating a logic for the separation of the businesses with the purpose of giving them greater visibility and transparency. In fact, the projected re-structuring involved the division of Altri in accordance with the simple demerger model given in paragraph a) of no. 1, Article 118 of the Portuguese Commercial Company Code, by means of the focus - by Ramada Investimentos - on the autonomous business unit which corresponds to the management of investments in the steel and storage systems sector, giving the market a better perception of the contribution made by each business area to the value of its shares. 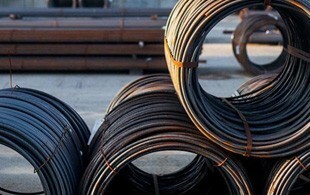 Through this, Ramada Investimentos unequivocally became a company of reference in the Steel and Storage Systems sector. The Ramada Group was composed of eight companies, three of which are based in European Union Countries (United Kingdom, France and Belgium), reflecting its objectives for the consolidation of the European distribution network.